That bill was one of the only major pieces of legislation that did not pass last night. But CPAs fared well in the past 90 days, accomplishing our entire agenda and one extra. Stop sales taxes on services (if introduced). Protect the contributory negligence doctrine of our liability law. Prevent combined reporting without lead time for implementation and education. Prevent any unnecessary CPA legislation from unintended consequences. Promote the Maryland Competitiveness Coalition’s work to create a compelling vision for Maryland’s future. The one extra was the passage of the estate tax recoupling to the federal estate tax exemption. Members of our State Tax Committee have been working on this for almost a decade and were instrumental in helping to convince legislators that this was necessary from a competitive positioning relative to our surrounding states. Here is our post about testifying on the estate tax bill. 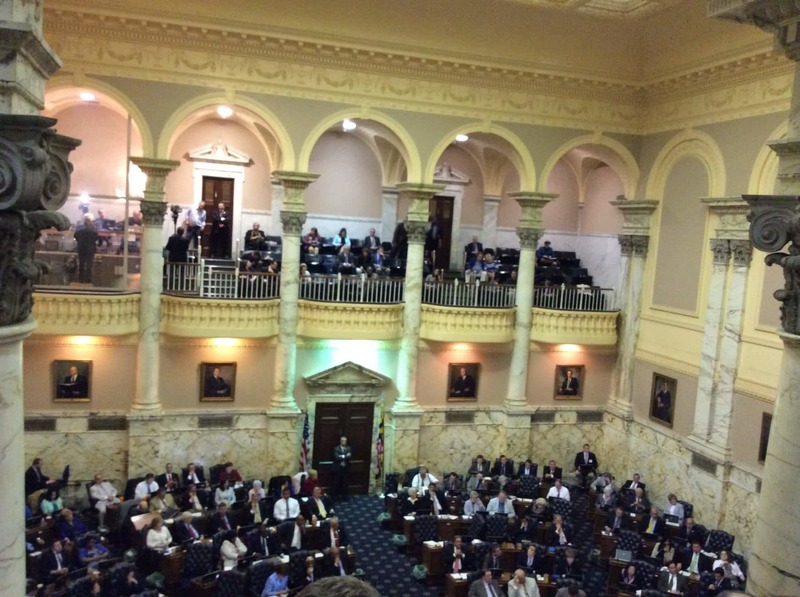 Here are full recaps of the 2014 session from the Baltimore Business Journal, Washington Post and the Maryland Chamber of Commerce’s legislative blog. Looking ahead to 2015, we are expecting a 40 percent turnover in the 188 legislators in the 2014 elections. All major positions are up for election, giving us a new governor and attorney general and major turnover in committees and legislators. Last night, we heard 27 delegates and seven senators announced their retirements this year. This means CPAs must be proactive as we look to the 2014 primary on June 24 and the general election on Nov. 4. Remember, if you don’t want to be involved in politics, be prepared for the consequences from those who are! Mark your calendar now for CPA Day in Annapolis on Jan. 29, 2015 and help us by contributing to our PAC so we can be ready for next year.